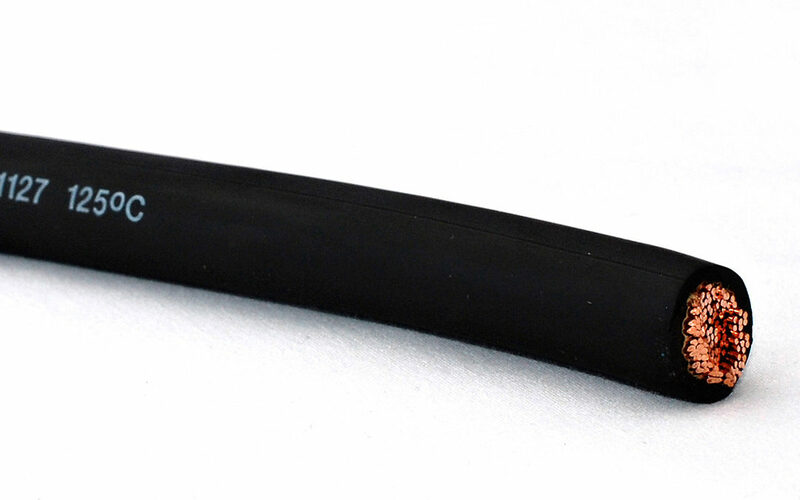 Kalas announces the launch of 125°C SGR Battery Cable; a high temperature cable that exceeds SAE J1127 requirement of 90°C SGR, and meets the requirements of UL 558 and UL 583. Although Kalas has been a trusted manufacturer of battery cable for decades, the increased temperature operating range offers assurance our product will uphold its dimensional integrity and deliver quality performance in high temperature environments and applications. Constructed with flexible stranded copper, and a high grade RoHS compliant thermoset rubber, our new 125°C SGR offers superior abrasion characteristics; making it an excellent product for use between battery terminal & starter and grounding on boats, buses, cars, lift trucks, RV’s, tractors and trucks. “We are truly excited to add 125°C SGR battery cable to our portfolio of products. This product is a necessary extension to our offering, as there is a growing demand for high temperature cable for the Truck, Marine, Automotive, Agriculture, and RV markets we serve. Kalas is committed to providing technical solutions to our valued partners, and this is just one more example of our ability to do so,” comments Dennis Melnyk, Kalas Chief Operating Officer.